A Halifax-based vet has been nominated for a Vet of the Year award at the Petplan Vetenary Awards. Kirsty Baird of Hird and Partners vetenary practice was nominated by pet owners to receive the award. 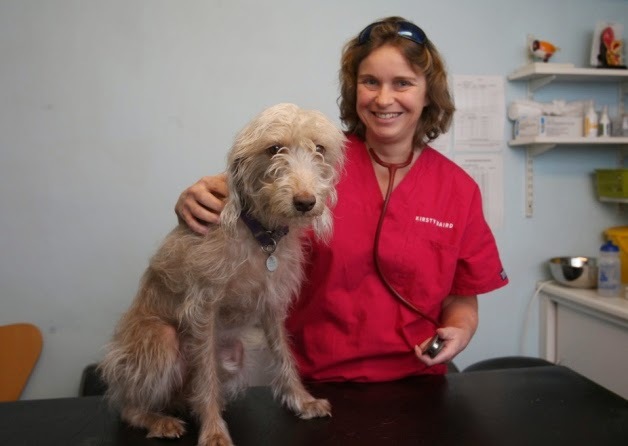 Now in its 15th year, the national awards recognise members of the vet community who continually go above and beyond what is expected of them in their daily role. Kirsty works with small animals such as dogs, cats and rabbits for four days a week at Hird and Partners’ brand in Waldsen, Todmorden, and one day a week at its Halifax branch. With 23 years experience as a vet, Kirsty said the award came as a surprise. She said: “You pluck away and think that nobody notices what you’re doing, so it’s nice to get recognition. For Kirsty, her role as a vet is about more than just treating animals - it is about making clients feel relaxed during what can often be a difficult time. She also works closely with local charities interested in animal welfare. The winners will be announced at an awards cerembony in Birmingham on April 3. This article was published by the on March 21, 2014.